Background and Objectives: Reasonable amount of literature has been accumulated over the years to indicate that the binge drinkers might be different from the group which does not have any history of binging. Only a handful of research demonstrated genetic predisposition for binging. Materials and Methods: This was a clinic-based association study with a case–control design. Two hundred and ten alcohol dependence cases were recruited. 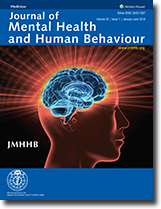 Binge drinking was diagnosed using Semi-structured Assessment for Genetics of Alcoholism-II-. Structured instruments were used for the assessment of impulsivity, and novelty seeking traits. single nucleotide polymorphism genotyping was done using Taqmann assay by real-time quantitative polymerase chain reaction (q-PCR) using Taqman assay (ABI 7500) fast real-time PCR system. Results: Comparison of clinical characteristics revealed an earlier age of onset of alcohol use and dependence, significantly more number of accidental injuries, emotional problems, and history of delirium tremens among the binge drinking group. The mean score in the extravagance subscale, overall novelty seeking scale, subscales of nonplanning, and attentional impulsiveness were significantly more among the binge drinkers. With regard to the candidate gene polymorphism (rs25531), short (S) allele of serotonin transporter was observed to be associated with the binge drinking group. Conclusion: Association of impulsiveness and novelty seeking is a new and important finding, indicating the role of personality traits to increase the vulnerability toward binge drinking. The association with the S allele, although is a replication of previous results, is nevertheless important as our study is from a different ethnic population. Introduction: The emergence of Anorexia Nervosa (AN) in India been sporadically reported and till date, no epidemiological study has been reported. 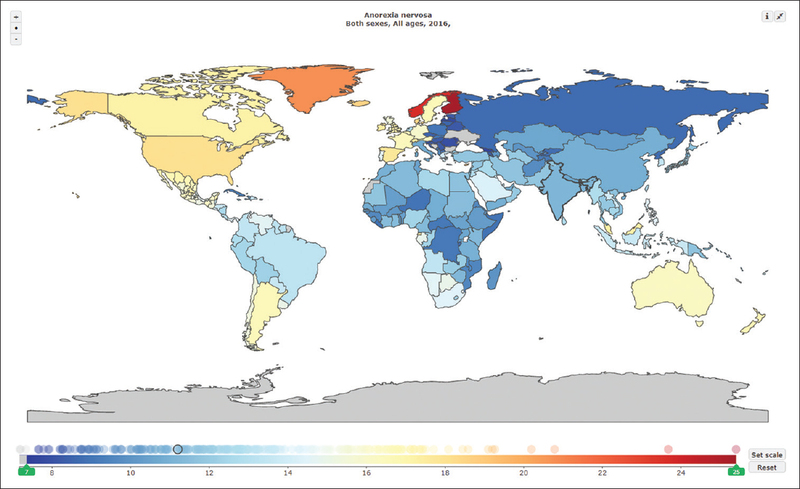 Global Burden of Disease Study 2016 (GBD 2016) offers a unique opportunity to study the AN as well as to estimate its burden quantification. Materials and Methods: Using the GBD 2016 approach and accounting for gender, age, and disability weight were accounted to calculate the disability-adjusted life years (DALYs). Results: As accounted in the model, the prevalence rate of AN for males was 10/100,000, whereas for females, it was 37.2 and combined gender burden was 22.3/100,000. A loss of 73782.7 DALYs was estimated. An estimated 55 deaths due to AN was observed. Most of the burden of the AN was borne by females in the age of 15–19 years than others with a male:female ratio of 1:4. 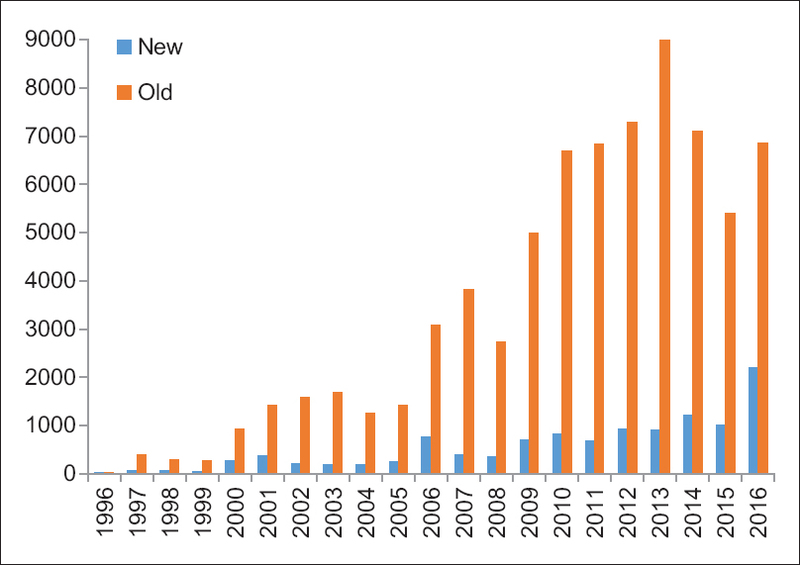 The prevalence rate was observed to increase from 1990 to 2016. Discussion: Within the confines of the current mathematical modeling and secondary data analysis, the Indian burden of AN is significant, particularly among young females. AN is least studied mental illness in India. With increasing distorted body image perception and “western” style living, eating disorder in reported to increasingly prevalent among Indians. Mental health professions need to include AN for screening at the community level. Nonavailability of specific literature and parameters to quantify disability. Conclusion: A mathematical estimate of the AN in India is presented with its implication using a secondary data approach. In wake of rapid changes in society, the mental health community should realize that India shall not be immune to AN in the present and future. Background and Aims: Patients with mental disorders often do not seek professional help for a multitude of reasons. These issues need to be highlighted and addressed. This cross-sectional study aims to collect and to analyze treatment-seeking behavior in psychiatric patients. Subjects and Methods: Five hundred patients presenting to psychiatry Outpatient Department of a tertiary hospital in Delhi, were recruited after obtaining written informed consent. Patients were diagnosed based on the International Classification of Disease-10 criteria, and sociodemographic details were collected. Treatment-seeking behavior schedule was applied. Results: Patients between 18 and 35 years of age constituted around 60% of the total treatment-seeking patients and only 2% were above the age of 65 years. More than 60% of the sample belonged to an urban, middle socioeconomic background from nuclear families. Depression and anxiety disorders were the most common psychiatric morbidities followed by psychotic disorders and substance use disorders. Up to half of the sample had sought treatment before coming for consultation. Of these 55% visited nonpsychiatric doctors, 30% of psychiatrists and others consulted faith healers, alternate medicine, and psychologists before visiting our facility. Easy accessibility, faith, and good reputation were the reasons for going to a doctor while belief in the supernatural causation of mental illness was the major reason for seeing a faith healer. Mostly, a family member had given information about our facility. Previous ineffective treatment and cost concerns regarding medications were the predominant reasons to visit after prior visits elsewhere. Conclusion: Factors determining treatment-seeking behavior can help address problems and delay in early identification and optimal management of mental disorders. Background: Mental disorders are a matter of great concern worldwide. The situation is particularly challenging in the developing countries given the substandard detention conditions of prisoners. This appears to be an obstacle to achieve the triple economic, social, and security goals of prisons of this 21st century. Objectives: This study aims at determining the prevalence and risk factors associated with mental disorders among inmates in Cameroon. 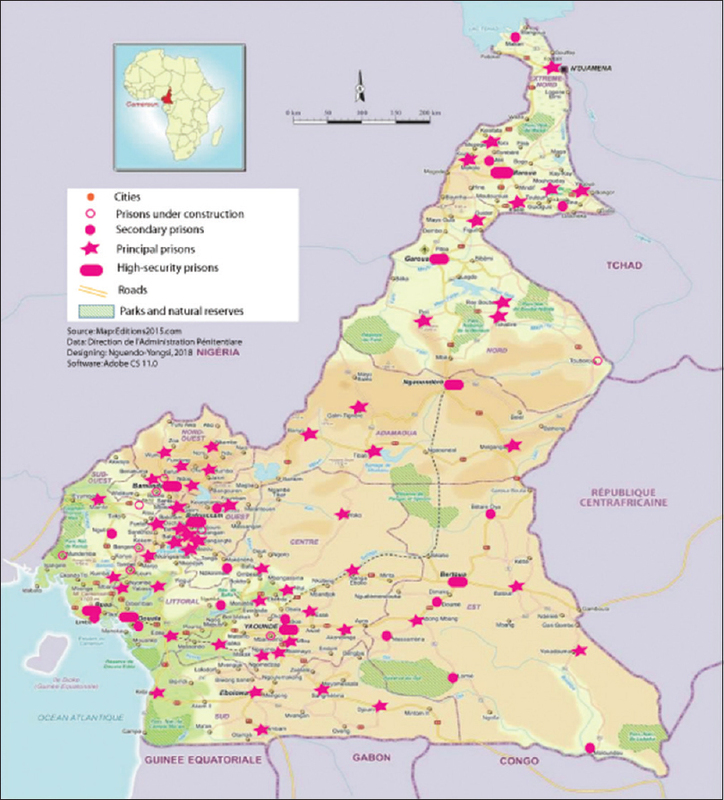 Subjects and Setting: The study focuses on 230 convicted and unconvicted inmates being held at the Central Correctional Prison of Kondengui in Yaoundé. Materials and Methods: A cross-sectional study of a random sample was conducted to assess psychiatric disorders using a Mini-International Neuropsychiatric Interview. The Chi-square test was used to determine associations at the 5% significance level, and magnitude of association was estimated using the odds ratio and its 95% confidence interval. Results: Of the 230 inmates, 80 (34.8%) were diagnosed as suffering from a mental illness, and identified disorders were related to psychotic disorders (66.67%) to mood disorders (54.29%), borderline personality (38.57%), and suicidal thoughts (24.29%). Risk factors associated with those mental disorders were mostly environmental (the general prison environment), sociological and individual (regimes governing daily life inside prison). Conclusion: Mental disorders are common among inmates. Extrapolation of our results suggests that inmates in Cameroon need transfer to hospital for specialized psychiatric treatment and services and that environmental condition of detention must be improved. Background: Children of alcoholics (COAs) are at high risk for behavioral problems and temperamental difficulties. Aim: The aim of this study was to compare the behavioral problems and temperamental characteristics in children of persons with and without alcoholism. Materials and Methods: Using a case–control design, 60 children (30 in the study group and 30 controls) were evaluated for their behavioral problems, aggression, and temperamental characteristics. Tools used were: Child Behavior Checklist, Aggression Questionnaire, and the Malhotra's Temperament Schedule. Results: The COAs were found to be more aggressive, manifesting more behavioral problems and temperamental difficulties than the controls. 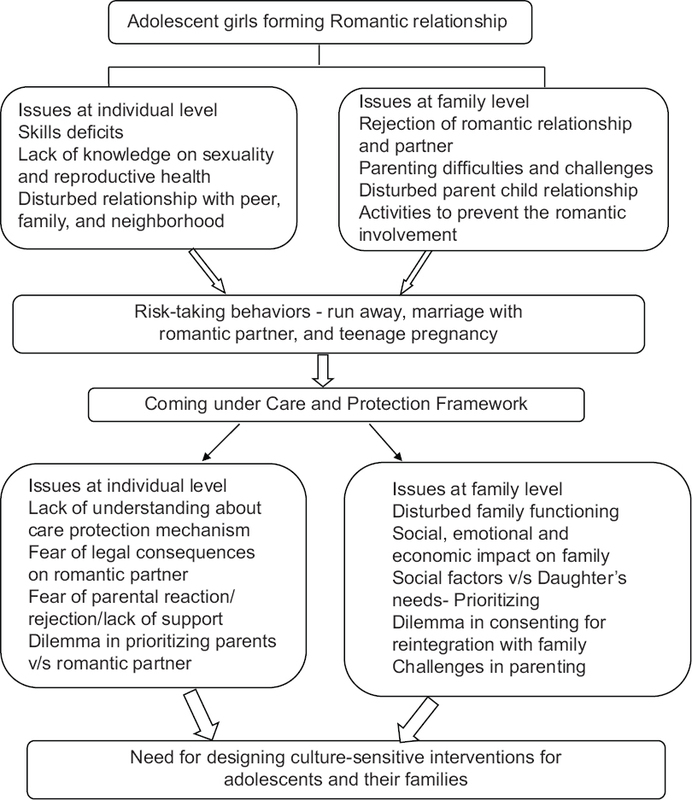 Conclusion: Children in families with an alcohol-dependent father are at increased risk for problem behaviors with a difficult temperament.